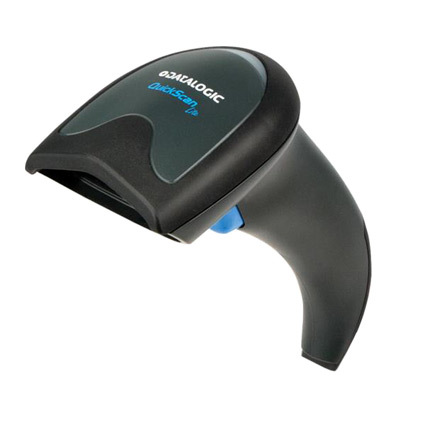 The Datalogic QuickScan Lite QW2100 is a lightweight and affordable way to add barcode scanning to your business. This linear imager is a good fit for light retail, banking, finance, or office environments. Scanning with the QW2100 is relatively easy. 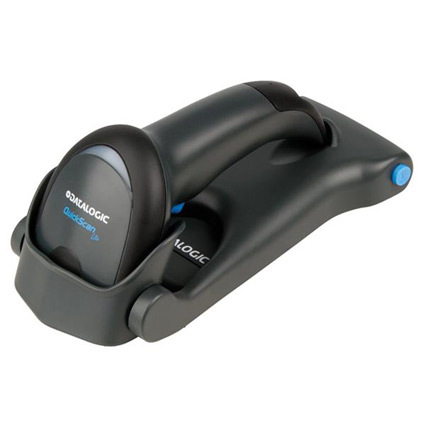 The scanner sports a contact to 15 inch depth of field for standard retail barcodes, ensuring even novice users will find quick success. A maximum scan rate of 400 reads per second ensures fast, accurate scanning every time. For hands-free scanning, an optional auto-sense stand is available with a unique collapsible design. Datalogic built the QuickScan QW2100 to handle accidents and damage that can occur in retail settings. Gaskets on the scanner seal it to IP42 standards, meaning dirt and some water splashes won´t harm internal components. Rubberized overmolding protects the QW2100 from drops of five feet to concrete, further extending the scanner´s lifespan. A 3-year warranty comes standard, giving you added peace of mind for your investment. Dimensions (W x D x H): 2.7" x 2.5" x 6.7"
5.0 Mil 1" to 6"
7.5 Mil 0" to 9.4"
10 Mil 0" to 13.8"
13 Mil (100% UPC-A) 0" to 15.7"
20 Mil 0" to 23.6"